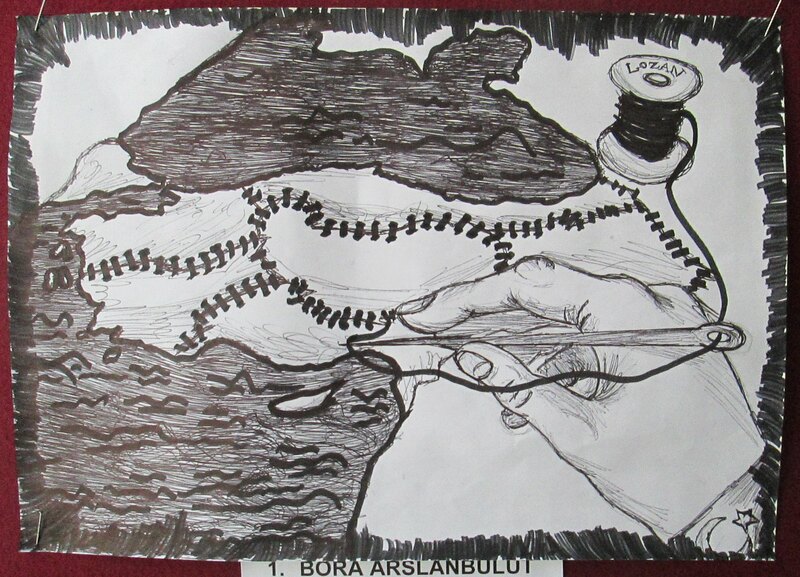 Having already done our part to promote the conspiracy that Erdogan’s Canal Istanbul was originally planned by the US in the 50s to circumvent the Montreaux Convention, we are excited to now push the story that the Lausanne Treaty will expire, or perhaps be up for review, on its hundredth anniversary in 2023. The real challenge for Turkey, of course, is that this time it won’t have the help of Ismet Inonu, a statesman whose cunning, combined with questionable translation, have led him to be described as “foxy.” Maybe in Ismet Pasa’s absence America can finally get the mandate that we missed out on last time. Recently, there's been a trend among critics of Turkey's Kemalist tradition to suggest that Lausanne was not in fact a historic achievement but rather a betrayal of the Turkish nation. Whereas Ataturk once implausibly suggested that if only the Ottoman Sultans had been more patriotic they could have maintained control of the Balkans and North Africa, Ataturk's modern critics use their newfound freedom to suggest if only Ataturk hadn’t been a British double agent he could have maintained Turkish control of Mosul and Thrace. It makes sense that the extreme emphasis on Lausanne in Kemalist historiography might have created this kind of backlash, particularly as Ismet Inonu's accomplishments have always been easier to criticize for conservative nationalists unwilling to attack Ataturk himself. And inevitably, as Turkey becomes stronger and more powerful, the context in which Lausanne seemed like such an accomplishment becomes harder for modern Turkish citizens to imagine. I don't necessarily think Turkey should revive the tradition, implemented by President Inonu, of celebrating Lausanne Day, complete with children dressed as parts of Anatolia, but all things considered it seems crazy not to acknowledge that, given the circumstances he was faced with, Inonu did a pretty good job at the negotiating table. Anyways, here are some student maps that were displayed at the Pembe Kosk, Inonu’s former residence, as part of a Lausanne Anniversary art contest. The metaphors are mixed, but the results speak for themselves. 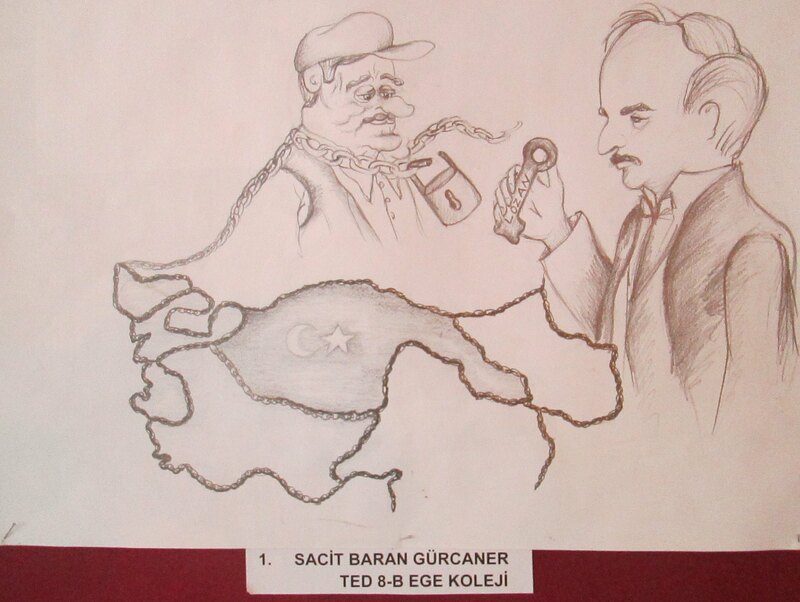 In one case Lausanne is the thread stitching together the severed parts of Turkey, while in the other it's the key unlocking the chains that hold Turkey down/apart.﻿ Our third map hints at what may happen when Lausanne expires, illustrating a rather different political position in a remarkably similar visual style. Not only is there the traditional symbolism of breaking chains, but also that of a crazy Kurdish ninja star.